Emeritus Professor Datoa?? Ar. Dr. Elias @ Ilias bin Salleh, born on 8th June1948, holds a Doctorate degree in Environment and Energy from the Architectural Association Graduate School of Architecture London (1997), a Master degree in Building Science from the University of Sydney Australia (1981), and a Professional Diploma in Architecture from Plymouth Polytechnic UK (1973). He is a Professional Architect who had served in various academic capacities in local public universities since 1973. He served Universiti Teknologi Malaysia (UTM) 19731999, and Universiti Utara Malaysia (UUM) 1999-2003 ... show more as a Deputy Vice-Chancellor. After his mandatory retirement he served Universiti Putra Malaysia (UPM) 2003-2011 as Professor in Architecture. Subsequently he served Universiti Kebangsaan Malaysia (UKM) 2012-2016 as a Principal Research Fellow at Solar Energy Research Institute (SERI) focusing on passive low-energy/carbon design and solar technology. In UTM he served in academic and various administrative capacities a?? Assistant Lecturer to Professor, Head of Department, Deputy Dean, and Dean at Faculty of Built Environment, and Director Bureau of Innovation & Consultancy and UTM Technovation Park. In 1999 he was seconded to UUM as a Deputy Vice-Chancellor. He was conferred Emeritus Professorship by UTM in May 2013. In 2015 he was one of three pioneer recipients of the inaugural Architectural Education Award by Lembaga Arkitek Malaysia. 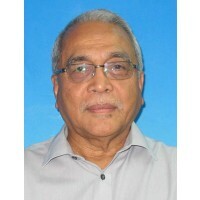 He has served as External Assessor and/or member Board of Studies for architectural programmes in various local public/private universities (UM,UTM,USM,UiTM,IIUM,UKM,UMK,UCSI,UCTS), as well as External Examiner to several postgraduate students in local and overseas universities. He was a member in Council of Accreditation and Architectural Education Malaysia (CAAEM). He is currently a member of MQA Assessment Panel. In 2008 he was involved in founding the Malaysia Green Building Confederation (MGBC), and was a Board member of Greenbuildingindex Sdn Bhd (GSB) 2013-2015 which oversees the implementation of GBI building rating system in Malaysia. He sits on the Board of MARA-owned Malaysia Design Development Centre Sdn Bhd (DDEC) which deals with design innovation and entrepreneurship. He was a member of Board of Directors for GPRO Technologies Bhd (an ACE listed company, 2004-2011). He has been involved in several SIRIM Working Groups relating to building standards. Throughout his career he was responsible for supervising and examining numerous successful graduands at undergraduate and post-graduate studies. He has involved in many related research projects as well as academic publications in his area of expertise.